David Nicholls is the bestselling author of US, ONE DAY, STARTER FOR TEN and THE UNDERSTUDY. His novels have sold over 8 million copies worldwide and are published in forty languages. 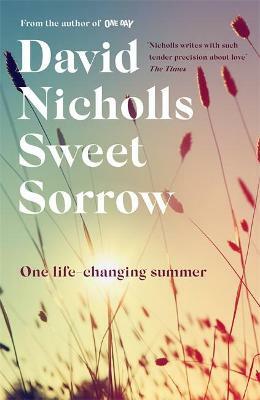 David's fifth novel, SWEET SORROW, will be published by Hodder in July 2019. David trained as an actor before making the switch to writing. He is an award-winning screenwriter, with TV credits including the third series of Cold Feet, a much-praised modern version of Much Ado About Nothing, The 7.39 and an adaptation of Tess of the D'Urbervilles. David wrote the screenplays for Great Expectations (2012) and Far from the Madding Crowd (2015, starring Carey Mulligan). He has twice been BAFTA nominated and his recent adaptation of Patrick Melrose from the novels by Edward St Aubyn won him an Emmy nomination. His bestselling first novel, STARTER FOR TEN, was selected for the Richard and Judy Book Club in 2004, and in 2006 David went on to write the screenplay of the film version. His third novel, ONE DAY, was published in 2009 to extraordinary critical acclaim, and stayed in the Sunday Times top ten bestseller list for ten weeks on publication. ONE DAY won the 2010 Galaxy Book of the Year Award. David's fourth novel, US, was longlisted for the Man Booker Prize for Fiction 2014 and was another no. 1 Sunday Times bestseller. In 2014, he was named Author of the Year at the National Book Awards.